and under a colder climate for quality purposes, sustainability and social responsibility is well attributed to the brand. The idea was to create a visual identity to communicate the coffee’s originality from Chiapas as well as its attributes: quality, sustainability and social responsibility. We proposed an identity highly inspired in Chiapas: for the logo we selected a classic font accompanied by a handmade jaguar from the region. 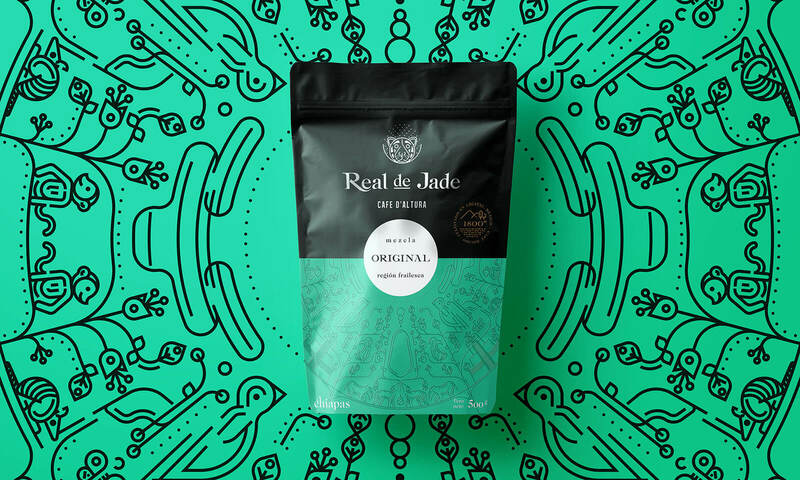 For packaging, we proposed black and green in reference to jade, as well as a detailed illustration inspired by the Lacandon Jungle.